Internationally acclaimed conductor, DIANE WITTRY, maintains a dual career as an esteemed music director and guest conductor throughout the world. She specializes in conducting American music abroad, and is known in the United States for her innovative and creative programming. Recently named as one of the “Top 30 Professional Musicians” by Musical America (Dec 2015) and the “Outstanding Alumnus” of the Thornton School of Music at the University of Southern California (2013), Diane Wittry brings a proven track record regarding her ability to inspire musicians and to build an orchestra artistically and organizationally. 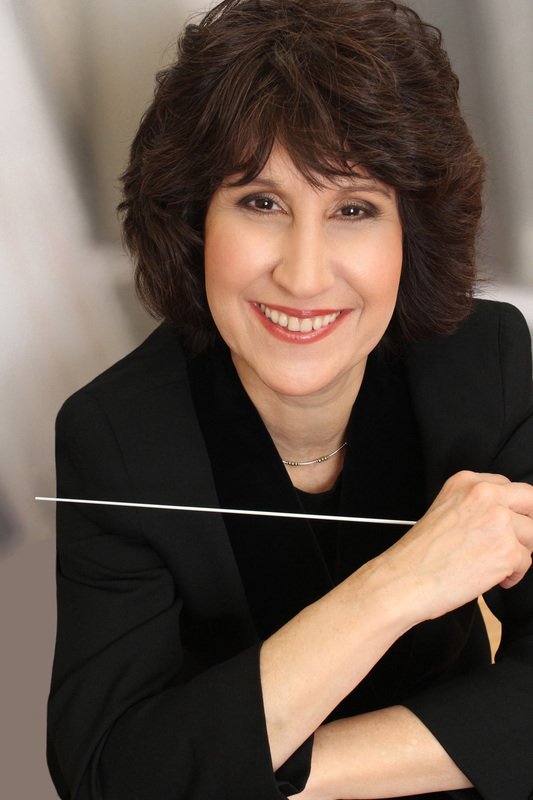 A frequent guest conductor of professional orchestras across the country, Diane Wittry has conducted orchestras throughout Europe and Asia, including China, Poland, Canada, Bosnia, Russia, Slovakia, Japan, Italy, as well as her regularly scheduled concerts with orchestras in Pennsylvania and New Jersey. As the Music Director of the ﻿Allentown Symphony﻿, PA, a professional orchestra with a 3 million budget that performs about 24 concerts a year, Diane Wittry has established a reputation for her creative programming and innovative approach to concert formats. She has a proven ability to develop an orchestra musically and an extensive knowledge and experience with orchestral repertoire. The Stamford Advocate, CT, described Diane Wittry as "a conductor who specializes in finding creative ways to make the music fresh, accessible, and exciting." She has been a tireless advocate for the development of extensive educational programs and is very involved with the Allentown Symphony's new El Sistema Program for underprivileged children. As a teacher, Diane Wittry, is a frequent guest lecturer at the Juilliard School, the Manhattan School of Music, and the Curtis Institute of Music, as well as other Universities and Colleges. She has been a faculty member at Lamar University (Beaumont, TX) where she successfully recruited a large class of string students from Europe and Asia for the Lamar Chamber Orchestra, and a lecturer at the University of Southern California Thornton School of Music where she taught conducting courses. Diane Wittry has the ability to organize and build a nationally recognized orchestral program, and is sought after as a clinician, adjudicator, and conductor for All-State Orchestras. More recently, she conducted the Oregon All-State Orchestra, and she was the featured Masterclass Conducting Teacher at the national College Orchestra Directors Association (CODA). An award winning author and scholar, her book, "Beyond the Baton", (Oxford University Press, 2007) ﻿﻿was nominated for a Pulitzer Prize and has become a standard, both nationally and internationally, in the field. Her most recent book "Baton Basics - Communicating Music Through Gestures" (Oxford University Press, Dec.2014) is being utilized by conducting classes across the country.